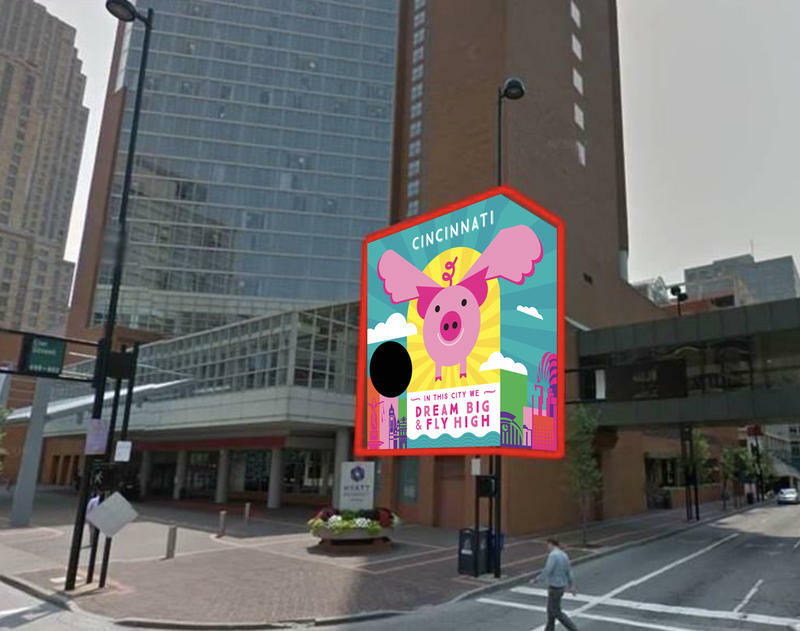 This summer, Fiona the hippo will join the likes of Ezzard Charles, Rosemary Clooney, Jim Tarbell and other noteworthy Cincinnatians by getting her likeness painted on a mural downtown—and the artist could be you. ArtWorks, a local nonprofit founded in 1996 that aims to create art with community impact, is now accepting design ideas from artists in its inaugural Paint By Numbers program. Designs are accepted through May 7, with the winning design chosen by public vote. In July, the mural will come to life on Race and 9th streets, at a veterinary clinic called Rover The Rhine. Whoever wins, Cincinnati Zoo Director Thane Maynard says he or she will have a more than willing subject in the now 750-pound hippo. "She loves people because she was handheld (since birth)," he said while standing outside of her (empty) tank at the zoo's Hippo's Cove. "She really does have a lot of personality." Maynard added that Fiona has grown from looking like "a shriveled football" at birth to "a very animated animal" with "bright" eyes. 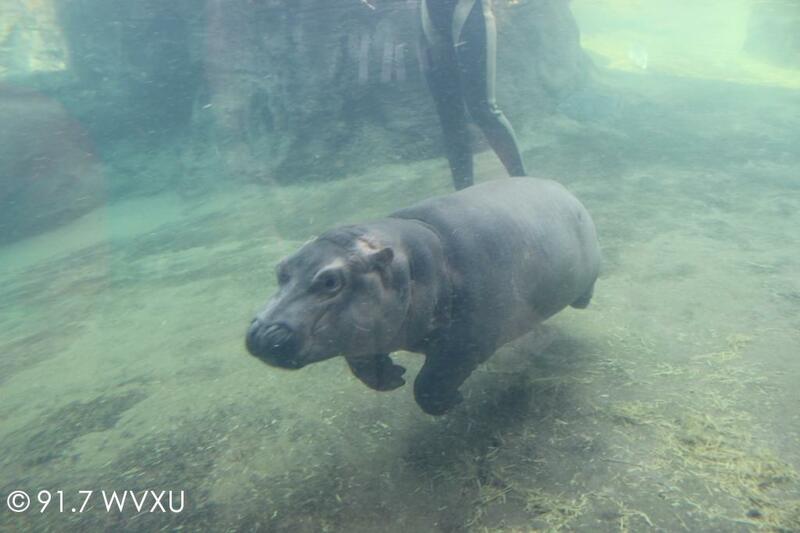 "If you think of all the hippos you've seen, there's no doubt she's the cutest," he says. Once completed, the mural will be ArtWorks' 148th outdoor mural completed in Cincinnati. Existing pieces feature, among others, Cincinnati's brewing heritage; James Brown, who recorded at the local King Records label; and Martha the passenger pigeon, a Cincinnati Zoo resident who passed away in 1914. Being the social media star that she is, the Cincinnati Zoo & Botanical Garden announced the news via Facebook Live. See the full announcement by watching the video below. 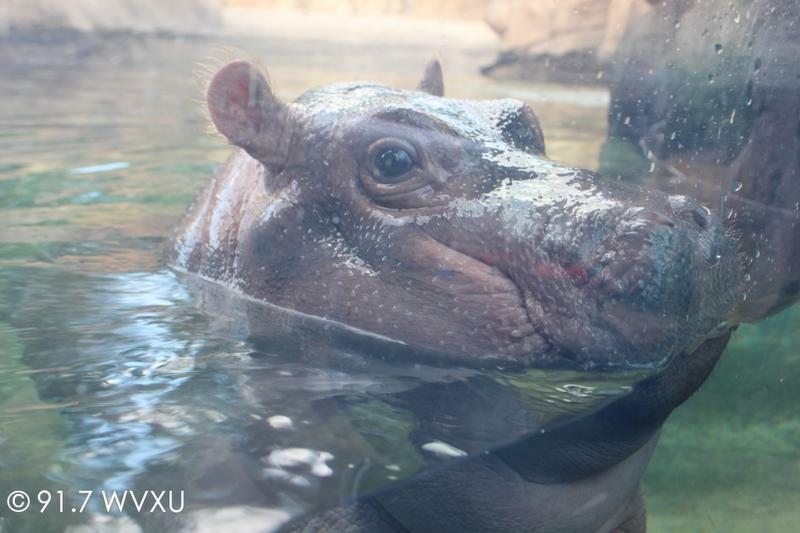 The Cincinnati Zoo's famous baby hippo Fiona has plenty of admirers, mostly of the human kind—until now. 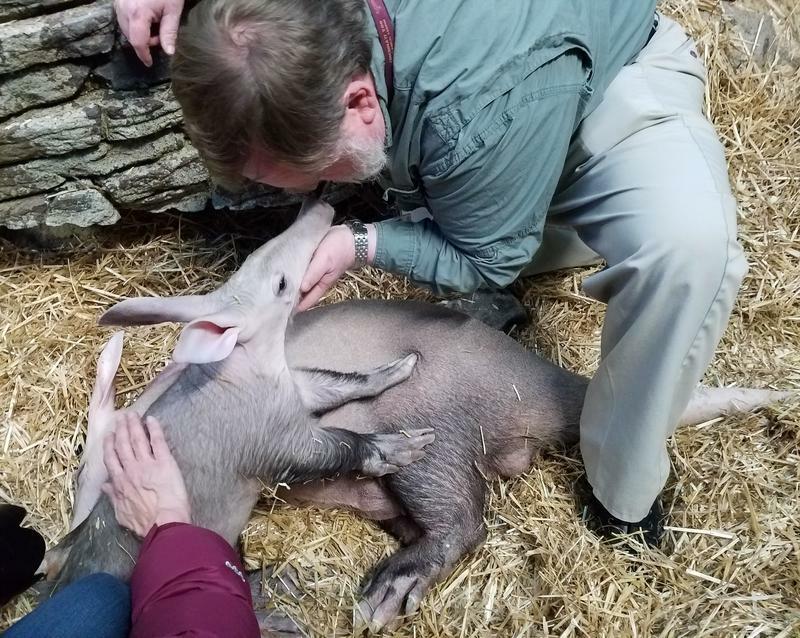 The Cincinnati Zoo's baby aardvark is ready to meet the public. Three-month-old Winsol - so named because he was born on the Winter Solstice - is now on view in the Night Hunters habitat. Several downtown buildings are in for a new paint job this summer as ArtWorks spends its 21st year making Cincinnati more colorful and in turn, more beautiful. On Monday Vice President of ArtWorks Colleen Houston and Mayor John Cranley announced the beginning of the ArtWorks season. They spoke at the site of the “Faces of Homelessness” project in Over-the-Rhine.